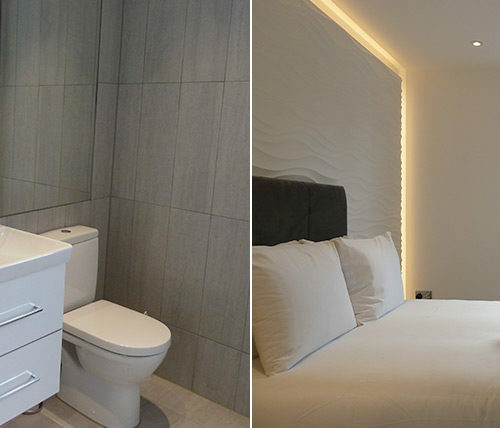 These brand new contemporary apartments are located just minutes from Ealing Broadway Tube and Rail Station and Ealing Broadway Shopping Centre. 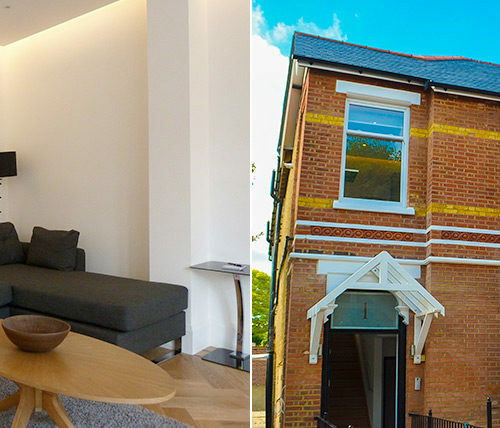 Ealing is a luxurious setting surrounded by fresh green trees and parks, this location is within close distance of areas of leisure such as restaurants and venues. There is a certain ‘village-feel’ to the area, even when it’s so close to central London. 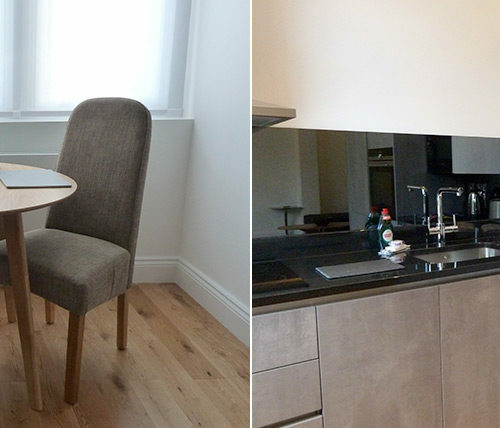 Enjoy the leafy London suburbs at this serviced apartment location, right in this quint borough of West London. This property location culminates the perfect ingredients of a peaceful West London residential lifestyle whilst not compromising on excellent transportation links to central London & the local business districts. The rail station and shopping areas are just a short walk from this exclusive, brand new collection of apartments. The 1 and 2 bedroom apartments have been individually designed to a very high specification, offering spacious open plan living areas and fully fitted kitchens – with full sized fridge/freezers, dishwasher and washer-dryer. The bedrooms are tastefully appointed and decorated to ensure a great night’s sleep. The 2 bedroom units either have a communal bathroom only, or a communal bathroom and an en-suite bathroom. All apartments at Ealing Broadway feature dining table and chairs, a smart TV and state of the art NEST room temperature control devices. 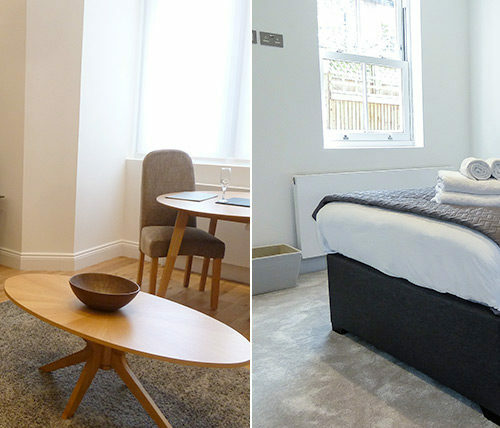 Guests can enjoy of a super fast and free fibre optic Wi-Fi (Ethernet cables can also be provided), as well as a communal garden and on-site parking (limited bays, subject to availability). Complementary housekeeping to the apartments is undertaken on a weekly basis. Amenities in these superb properties include ‘Self check-in’ – so there is no pre-booked time slots for your arrival, get maximum flexibility and arrive at your apartment whenever you want. ‘Welcome Pack’ – you will arrive to a selection of hot drinks, refreshments, toiletries and cleaning supplies to get you started. ‘Complimentary Wi-fi’ – each apartment is supplied with one internet router, so you don’t have to share the signal and can get maximum strength. 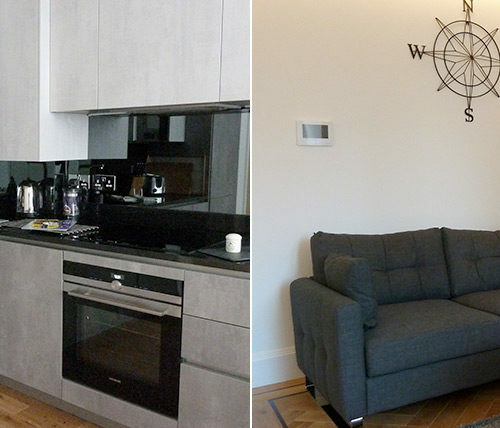 ‘Weekly Housekeeping’ – the professional cleaning and maintenance team will service your apartment once a week. ‘Towels and Bed Linen’ – no need to bring yours, a good supply of towels and bed linen for as many people as the apartment is booked for. ‘Parking’ – parking is available at this location, but spaces are limited. We highly recommend these beautiful brand new apartments. These prices are inclusive of all utilities, Wi-fi and services but exclusive of 20% Value Added Tax. These are a non-smoking apartments.